Jim Steinmeyer, designer and inventor of illusions and theatrical special effects, for magicians and Broadway shows visits the Rory Feldman Collection. 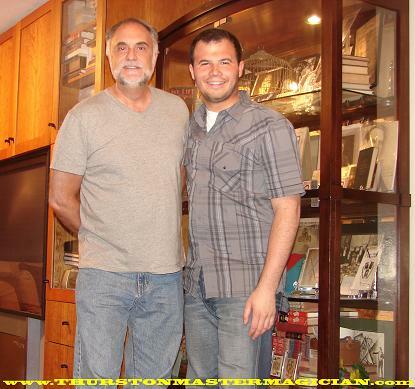 Jim is responsible for popular illusions featured by professional magicians around the world, and special effects in theatrical shows from Broadway to Las Vegas. 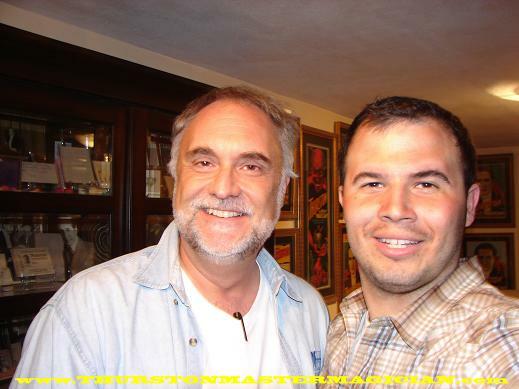 Through his designs and his writing on historical magic, he's been credited with creating the "defining illusions in contemporary magic:" deceptions featured by Doug Henning, David Copperfield, Siegfried and Roy, Harry Blackstone, Orson Welles, The Pendragons, Lance Burton, Mark Kalin and Jinger and many others. 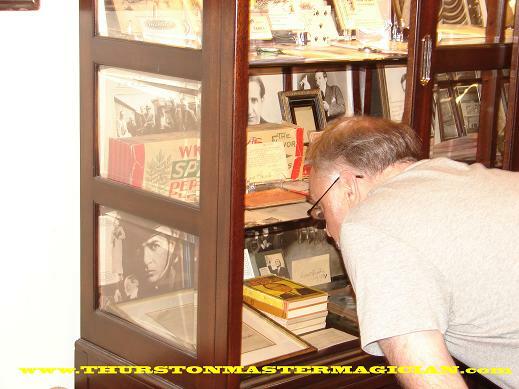 Jim visited Rory to do research for his upcoming book on magician Howard Thurston. Some of the amazing illusions that Jim has invented are Origami, Osmosis, Sliding Spikes, Interlude, Elevator, Torch Box, Backstage With A Cane Cabinet, Pole Levitation, Audience Dismember, Bits And Pieces, Hologram, Windshear, and he made the Statue of Liberty Vanish for Illusionist David Copperfield. 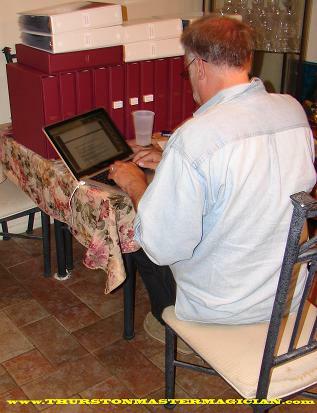 To see more of Jim's amazing creations CLICK HERE. 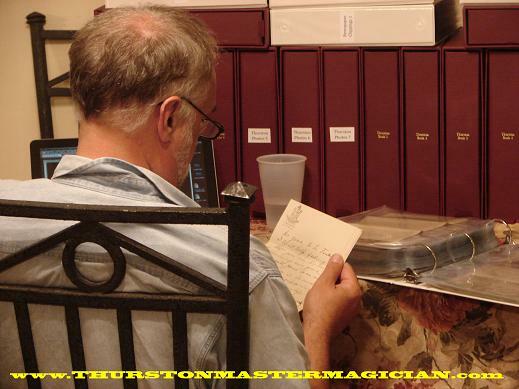 Jim Steinmeyer taking notes from the Thurston letters in the collection. Jim Steinmeyer reading a letter from Howard Thurston to Leotha Thurston. 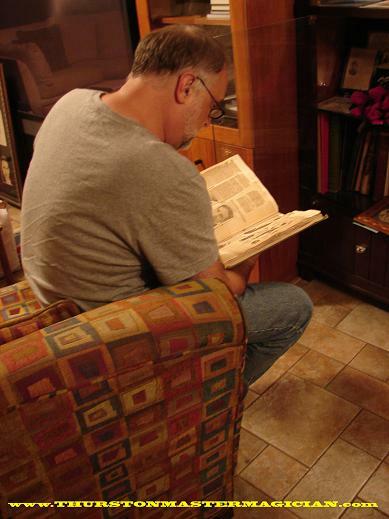 Jim Steinmeyer looking through one of Howard Thurston's scrapbooks. 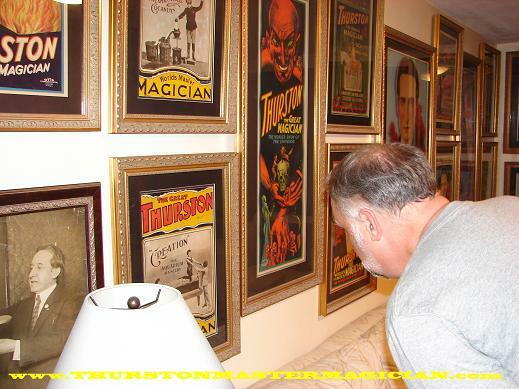 Jim Steinmeyer looking at The Great Thurston "Creation" poster from 1905. 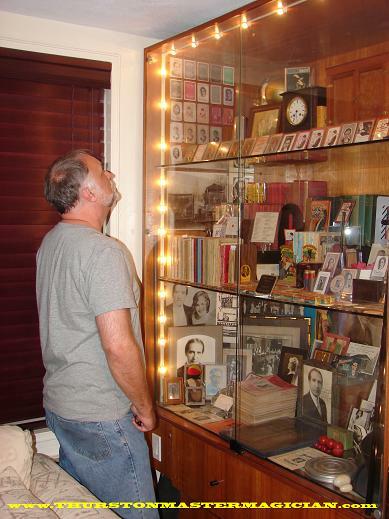 Jim Steinmeyer and one of the Thurston displays in the collection. Jim Steinmeyer reading a letter from Howard Thurston to Servais LeRoy. Jim Steinmeyer reading a description of the Water Fountain routine. 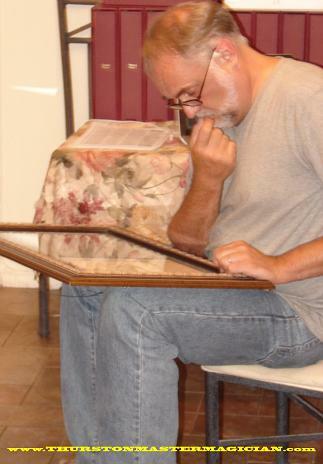 For more information on Jim Steinmeyer please CLICK HERE.